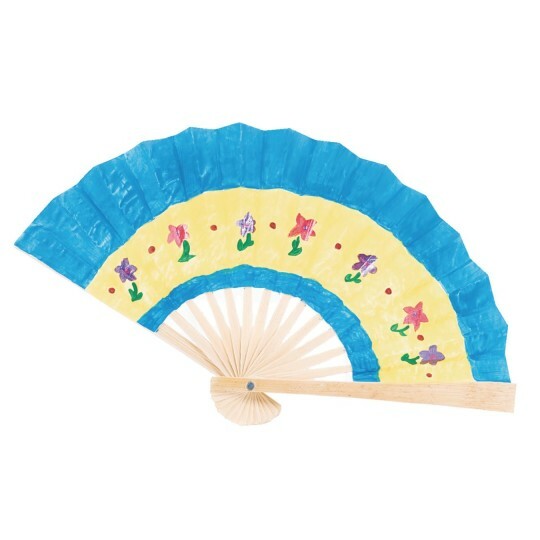 Give plain paper fans an exotic flair. Kids will love decorating in their own style. All the paints and brushes are included! Tie into lessons on Asian culture. 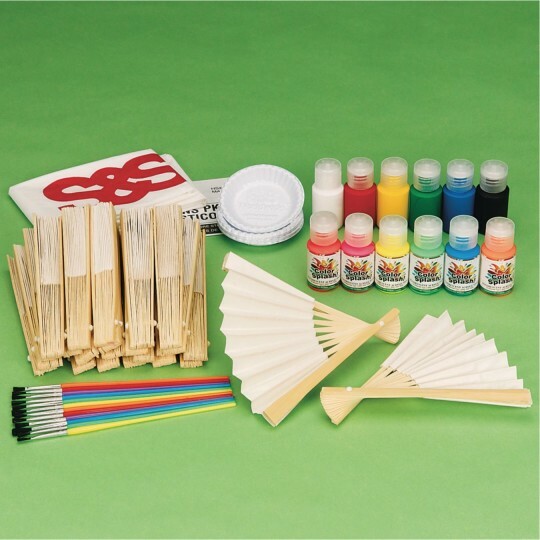 Includes fans, neon and traditional colors of acrylic paint and brushes. Add your own glitter, gems, ribbons and lace for variety. 6" long when folded. They'll keep the kids cool this summer! Use this product for China and Japan. Water color and print a language symbol on them.